The Fair Work Commission has been undertaking the 4-year Award review for several years now. As part of that review a number of decisions have recently been handed down which alter the terms of the General Retail Award 2010. Those revisions relate to casual loadings, Sunday penalty rates for shiftworkers, and termination of employment. A casual employee must be paid an additional 5% penalty payment for hours worked after 6pm on Monday to Friday (or 30% loading inclusive of the casual loading). A casual employee must be paid an additional 15% penalty payment for all work performed on a Saturday (or 40% loading inclusive of the casual loading). A full-time or part-time employee must be paid an additional 25% penalty payment for ordinary hours worked after 6pm on Monday to Friday. A full-time or part-time employee must be paid an additional 25% penalty payment for ordinary hours worked on a Saturday. A casual employee who is a shiftworker, and works on a Sunday, will have their shiftwork penalty reduced from 225% to 220% (inclusive of casual loadings). A full-time or part-time employee who is a shiftworker, and works on a Sunday, will have their shiftwork penalty rate reduced from 200% to 195%. Further penalty rate changes: As part of the overall decision, a transitional process will gradually increase casual Saturday penalty rates until 2020 and weekday evening penalty rates until 2021. Further, a transitional process will annually reduce Sunday shiftworker penalty rates until 2020. Payment upon termination: The Award now contains a term that requires employers pay terminated employees all their entitlements, including outstanding wages and accrued leave, within 7 days of their termination. The decision recognised that some Awards were silent in respect to the time period within which termination payments were to be made. Employee failing to provide adequate notice: Changes have also been made to the amount an employer can deduct if an employee resigns without giving enough notice. The revised term limits employers to deducting no more than 1 week’s wages, so long as the employee is at least 18 years old, when employees fail to provide their employer with adequate notice of termination. Workforce Guardian has prepared a revised summary of the Retail Award. Click here to download the Retail Award summary. 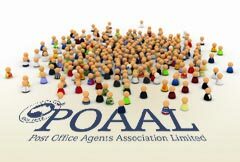 Paid-up POAAL members received all this information last year – one of the many services POAAL provides to its members.